Charlotte, NC, May 15, 2013 – Legacy Talent and Entertainment is happy to announce that Becky Kramer has joined our East Coast office. 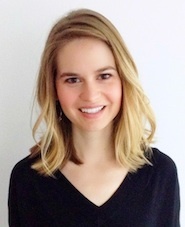 Becky graduated from UNC Chapel Hill in 2008 with a degree in Media Production. Prior to joining Legacy Talent, Becky spent four years working in the entertainment industry in Los Angeles for talent management companies Mosaic Film Production and Benderspink Productions. She has also been a part of the production teams for The Bachelorette and Homeland. Becky will run client e-commerce stores, head up script coverage, prepare pitch presentations, serve as intern supervisor, assist with media, and handle publicity and marketing. CHARLOTTE, NC – (January 9, 2014) He’s always been the “dirtiest player in the game” – and some things never change. A long time Carolina Panthers fan, RicFlair created quite the stir when WWE sent him to Green Bay, WI January 5th to give the San Francisco 49ers an unexpected locker room pep talk. WWE is hosting WrestleMania XXXI in SanFrancisco in 2015. 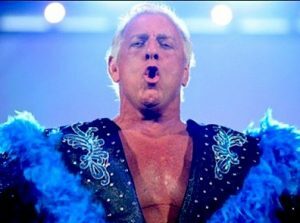 Now many are asking: Will Flair attend the January 12th playoff game in Carolina as they host San Francisco? And if so, which team will he support? “When the 49ers reached out and WWE asked Ric to jet up there, of course he said yes,” says Melinda Morris Zanoni, Flair’s agent at Legacy Talent and Entertainment, “and he’s friends with a bunch of the 49ers just like he is with the Panthers, Packers, and many other NFL players. But no, Ric does not intend on attending the Panthers vs. 49ers game this weekend.” “What can I say? I’ve always been a very good heel!” added Flair. The 49er pep talk, which instantly went viral, caused many Carolina fans to voice their feelings of anger and betrayal on social media – some even offering death threats to Flair. “We know fans are passionate about their teams, but some of the choice language we have been receiving is scaring off our interns,” says Melinda. 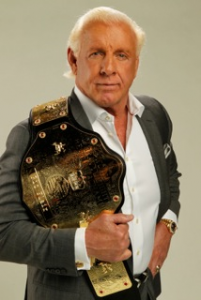 For more information on Ric Flair go to www.ricflair.com or follow him on Twitter, @RicFlairNatrBoy. For a list of upcoming public appearances find Ric on Facebook: Ric Flair, The Nature Boy. Our sister company, The Law Firm of Melinda Morris Zanoni, PLLC, served as entertainment counsel for casting and legal matters on Michael Jordan’s latest television commercial. 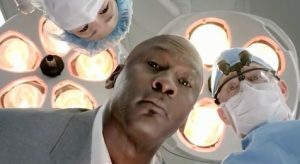 The basketball legend is featured in a new advertising campaign promoting Presbyterian Hospital. See commercial here: http://www.youtube.com/watch?v=6X1J3O3i8o8. May 7, 2012 — Rusty’s attendance, arranged by Legacy Talent and Entertainment, was announced only days before the Shenandoah Apple Blossom Festival was set to start, but even so, NASCAR great Rusty Wallace was one of the most anticipated celebrities of the event. The festival, held in Winchester, VA, included parades, fan interaction, and the ceremonial coronation of Queen Shenandoah LXXXV. Rusty served as the Firefighters’ Marshal for the 85th Celebration of the Blooms. The parade carried the largest collection of firefighting and rescue equipment in the world, including a fire truck that responded to 9/11. Other celebrities such as TV host Mario Lopez, and former NFL quarterback Doug Flutie joined the company of Rusty during the event. 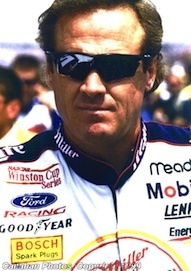 Rusty Wallace is one of the most accomplished athletes in the history of American auto racing. With 55 victories under his belt, Rusty ranks 8th all time in NASCAR wins. His career includes 706 starts, 202 top-five finishes, and 349 top-ten finishes. Rusty was inducted into the NASCAR Hall of Fame as a member of the Class of 2013. The news of Flair’s second induction was followed by a firestorm of controversy. Questions flew about whether Flair would attend the WWE Hall of Fame ceremony as he is currently under contract with Total Nonstop Action (TNA) Wrestling. Understanding what a huge honor this is for Flair, TNA is graciously supporting him in the decision to attend the Hall of Fame ceremony alongside his fellow inductees. “Being inducted once was one of the greatest accomplishments of my career, so I’m humbled and honored to be recognized again. 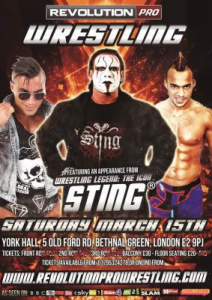 I wouldn’t miss the ceremony for the world,” says Flair. CHARLOTTE, NC – (January 27, 2012) World famous Hall of Fame wrestler Ric Flair has been named Brand Ambassador for a new brand of Energy and Protein power shots, Fuel in a Bottle ™. “We are excited about Fuel in a Bottle because it offers two different types of high-quality fuel people are looking for at an amazing value price,” says BYB President Norm George. Fuel in a Bottle Energy and Fuel in a Bottle Protein will be available through the Southeastern United States in early March. They will be sold in convenience retail, health-food stores, and other specialty retail outlets. Fuel in a Bottle power shots are the latest products rolled out by BYB Brands. The company’s other beverages include Tum-E Yummies Fruit Flavored Drinks, Country Breeze Tea and Bean and Body Coffee. According to Flair’s agent at Legacy Talent and Entertainment, Flair will support Fuel in a Bottle by licensing his image to market the product, shooting a TV commercial and voicing radio ads. “We think Ric’s fans will love the ad campaigns and Fuel in a Bottle shots,” says CEO Melinda Morris Zanoni. Headquartered in Charlotte, NC, BYB Brands, Inc. is a wholly-owned subsidiary of Coca-Cola Bottling Co. Consolidated. BYB Brands, Inc. is a full-service brand creation company, specializing in new and alternative beverages as well as other consumable products. For information visit www.bybbrands.com. Legacy Talent and Entertainment is a full service Talent Management and Entertainment Development Company. Legacy Talent provides professional talent management services to select celebrities and athletes, including representing exclusive talent and the region’s highest profile celebrities. For more information call 704-334-7727 or 310-892-7561, visit www.legacytalentandentertainment.com, and become a fan on Facebook: Legacy Talent and Entertainment. Charlotte, NC, October 25, 2011 – Former NASCAR team owner Mimi Sabates has been named Business Development Director at Legacy Talent and Entertainment. Ms. Sabates will lead Legacy Talent’s expansion of its existing talent management division, as well as look to increase the company’s footprint in the sports and entertainment industry. The announcement was made by the founder and CEO of Legacy Talent, Melinda Morris Zanoni. A native Charlottean and graduate of Furman University, Ms. Sabates has been involved with the NASCAR community since the 1980s when her father, Felix Sabates, formed Team SABCO. Ms. Sabates became a NASCAR team owner when she co-founded HighLine Performance, which fielded a car in the Busch Series for a successful season. HighLine Performance partnered with NFL legend Terry Bradshaw to become FitzBradshaw Racing. FBR fielded several teams in the Nationwide Series, Camping World Truck Series, and the Camping World East Series, remained successful through 2009, and was a featured team on the Speed Channel reality show NBS 24-7. Prior to her NASCAR career, Ms. Sabates worked for the Charlotte Hornets as the local Marketing Director and for the Charlotte Checkers as the Promotions and Merchandising Manager. Ms. Sabates is well-known for her civic work in and around Charlotte and serves on the Board of Directors of a number of charitable organizations, including Foundation for the Carolinas, the Duke Cancer Institute Board of Overseers, St. Jude, Chairman of the Ambassador’s Ball for Allegro, and Victory Junction. “We are thrilled to have the opportunity to add Ms. Sabates to the Legacy Talent team. Her experience with the NBA and as a NASCAR team owner makes her a perfect addition as we continue to build Legacy Talent as the region’s premiere Talent Management Company. I have known Mimi on a personal level for years and am consistently impressed with her ability to bring together productive relationships in our industry”, said Legacy Talent’s CEO. Legacy Talent and Entertainment is the most established and recognized full service Talent Management and Entertainment Development Company in the Southeast, and also maintains a presence in Malibu, CA. Legacy Talent provides professional talent management services to select celebrities, athletes, personalities, comedians, filmmakers, television professionals, actors, hosts, models, artists, announcers, motivational speakers, screenwriters, and authors, including representing exclusive talent and the region’s highest profile celebrities. The company also develops and represents very select film and television projects. In addition to entertainment industry experience, the management team has NASCAR, NBA, AHL, legal, marketing, publicity, and operating experience, has participated in transactions valued in excess of $21 billion, and has an extensive network of relationships, including studios, television networks, sponsors, and Fortune 500 Companies, with whom it has closed many high profile corporate endorsements.